Signs under the element Water are the most romantic of the Zodiac and they share some common characteristics. These signs are Cancer, Scorpio and Pisces. Learn more about the signs of this element in this article. Signs of the element Water love to fantasize about their romantic relationships and they are value transparency and tend to show how they really feel. 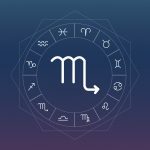 People born under the signs of the element Water have a keen perception and intuition, meaning that they can easily solve and get rid of complicated situations. They usually deal with problems in a very calm way. They are very honest people who of course value honesty in others. As they are big dreamers, they usually fantasize about their romantic relationships, dreaming with their soul mate. But it is not only about their love life that they dream. They also have the tendency to dream about perfect friends and a harmonious family life. Signs of the element Water get along very well with those of the element earth. This makes their relationship (whether in love, friendship or work) a very stable one, as the water connects itself with the earth. So, earth signs, like Taurus, Capricorn and Virgo are perfect for water signs. On the other hand, relationships between fire signs as Aries, Leo and Sagittarius and Water signs tend to be more conflicting. This is due to the fact that the water extinguishes the fire. If you want an attentive, caring and romantic partner, then you should choose a person born under the Water sign. They are sensual people and have very intense instincts specially if they are in love. They need a life full of emotions and feelings, but as they have a fragile self-confidence, they tend to be jealous and possessive. And although people born under these signs are charming, and like conquest and flirts, deep inside they always seek a lasting and trusting relationship, as the romantic people they are. As the people from these signs are very sensitive and emotional, they value life much. This fact makes them subject to depression, psychosomatic illness and social isolation. The Water signs also tend to be very fragile in what regards to metabolism, digestive processes and reproductive system. If you are born under one of the Water signs – Cancer, Scorpio and Pisces – then you should consider using blue, violet, black or pink colours. These colours can not only be in your clothes, but also in accessories you wear, some elements of your home and office decoration… use your imagination. Important is that you know that they can help to give you strength and a bigger sense of well being. So what are you waiting for?